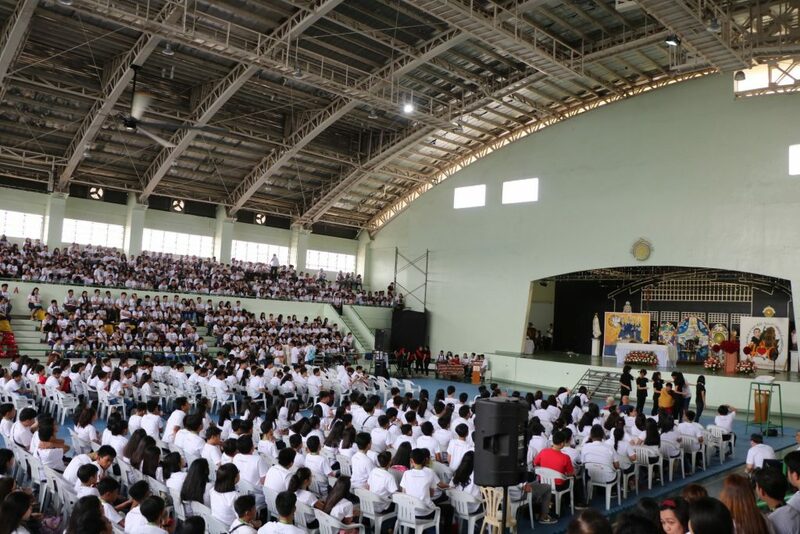 CAVITE CITY –January 21, Monday, was a red-letter day for the San Sebastian College-Recoletos de Cavite community celebrating the feast of St. Sebastian. This year the feast fell on a Sunday, January 20 coinciding with the celebration of the Feast of Sto. Niño. The highlight of the festivities was the concelebrated Eucharistic celebration with Rev. Fr. Dionisio Q. Selma, OAR, Prior Provincial, as main celebrant. Fr. Selma commended the community for the activities chosen to celebrate the feast. In his homily, he emphasized the relevance of St. Sebastian and his martyrdom in the present day realities and consciousness of the millennials. In keeping with the advocacy of awakening the spirit of generosity and selflessness the Sebastinians were invited to participate in the bloodletting project of the Recoletos Community Outreach Program (ReCOP) office and the CMO’s Alay ng mga Sebastino sa mga Caviteño offering during the mass, and the merienda cena where even the passersby were invited to partake of the simple delicacies the community members prepared. 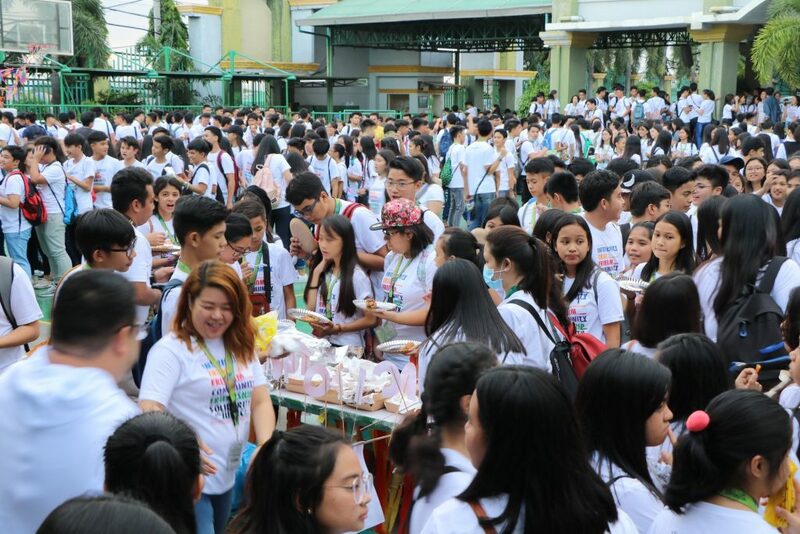 After the merienda cena a procession from Cañacao to the main campus ensued. The image of St. Sebastian was the main feature of the procession, joined by the images of St. Augustine, St. Ezekiel Moreno, Our Lady of Consolation, St. Magdalene of Nagasaki and St. Nicholas of Tolentine. Rev. Fr. Rafael B. Pecson, OAR (SSC-RdC School President), Rev.Fr. Rommel L. Rubia, OAR (Director, HRMDO) and Rev. Fr. Vincent S. Cadeliña, OAR (Property Administrator) were the concelebrants. The Students’ Night culminated the whole day affair. Talents, students and faculty, from the Senior High School department were featured in the night’s music and dances.